Seoul City Mental Health Center needed to become friendlier to the general public so that people can follow up with its current activities and reach the center for help. We designed BI for “Mental Health Campaign” for everyone to take part and to sympathize with. 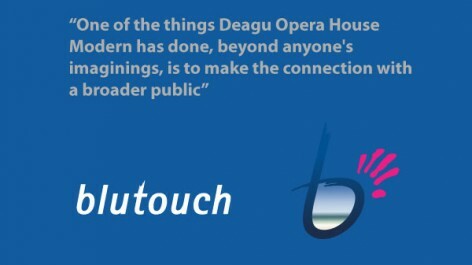 The concept was to have “Blutouch” to build “Touch” points for happiness and sharing, and meeting of minds for happiness. BI symbol also conscientiously expresses the concept. The initial B and the “touch icon” in the shape of hands, along with the sea in blue gradation indicate the strong willpower to regain the mental health in pursuit of peaceful mind. 서울시정신보건센터는 좀더 시민들에게 가깝게 다가가고 필요로 하는 사람들이 센터의 활동을 인지하고 실질적인 도움을 받을 수 있기를 원했다. 모두가 행복하게 참여하고 호응하는 ‘정신건강 Campaign Brand’를 만드는 것을 BI의 방향으로 정했다. 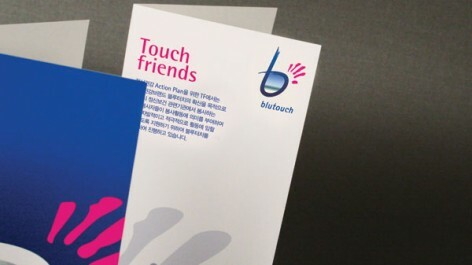 마음 행복을 위한 만남의, 나눔의, 행복의 Touch가 될 수 있도록 하자는 Concept을 ‘blutouch’라는 네이밍으로 표현했다. BI의 심볼마크 또한 Concept에 충실하게 표현되었다. 이니셜 b와 열정을 나타내는 손을 형상화한 ‘touch icon’, 그리고 b의 안에는 푸른색 그라데이션으로 바다를 표현함으로써 편안한 마음을 추구하는 정신건강의 의지를 보여주고 있다.